Rouge Script is a formal script type, initiall drawn by hand with a copperplate nib and redrawn with the termination style of a brush script. This gives it the flavor of a casual script. It is very soft and has fast curves, while its low slant angle makes it very legible and improves the render on-screen. It works perfectly for titles or short phrases in branding, magazines, food, feminine and fashion related typography. Rouge Script font contains 217 defined characters and 179 unique glyphs. The font contains characters from the following unicode character ranges: Basic Latin (93), Latin-1 Supplement (94), Latin Extended-A (7), Latin Extended-B (1), Spacing Modifier Letters (3), Greek and Coptic (1), General Punctuation (15), Currency Symbols (1), Letterlike Symbols (1). 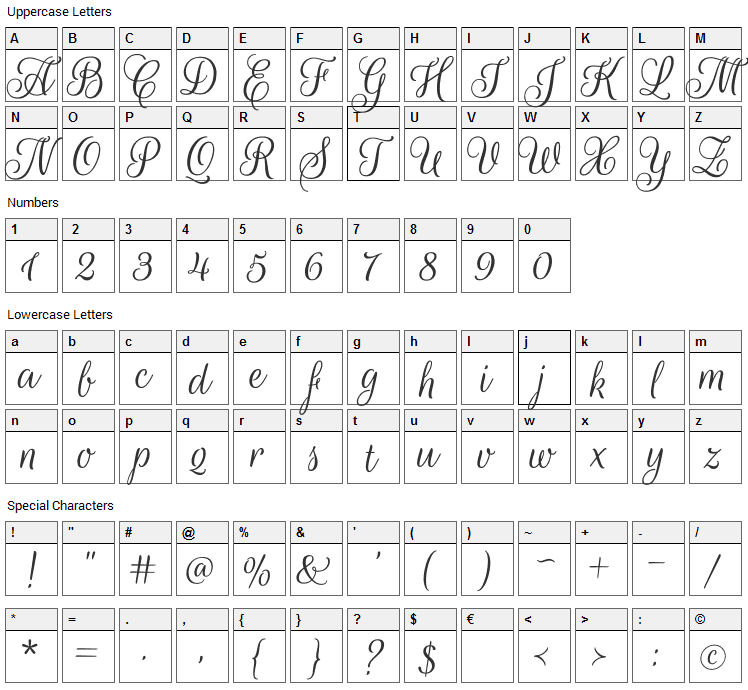 Rouge Script is a script, calligraphy font designed by Sabrina Mariela Lopez. The font is licensed under SIL Open Font License. The font is free for both personel and commercial usages, modification and distribution. In doubt please refer to the readme file in the font package or contact the designer directly from plus.google.com. 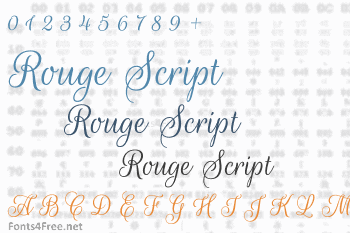 Rouge Script font has been rated 5.0 out of 5 points. A total of 2 votes cast and 0 users reviewed the font.